Are you serious about securing your load? Do you want confidence at your next roadside inspection? Do you want to maximise the effectiveness of your lashing restraints? Recently, I attended a Roads and Maritime event, conducted by a team of heavy vehicle inspectors, and a significant emphasis was placed on the friction factor of loads in the transport industry. They spoke about ways to improve friction and suggested purpose designed and scientifically tested rubber mats. They explained that too often RMS inspectors are intercepting drivers who have not secured their load correctly. A common contributing issue was medium to low friction co-efficients between the load and deck, which reduces the effectiveness of the lashings, requiring more lashings to offset the loss. What was news to me is that timber (often used as dunnage) and steel is often considered as a medium co-effiecient (0.4) not high (0.6), as I always thought. Other factors are blocking and lashing angles. You can learn more by reading the Load Restraint guide 2018. 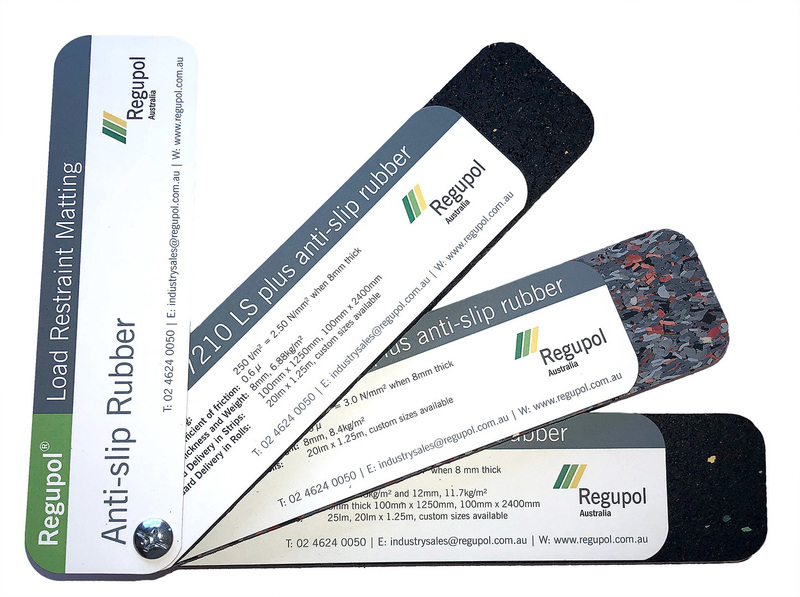 These inspectors were very impressed with Regupol® Anti-Slip Rubber mats and recommended that we explore their products, so we did. Abide by the law and effectively secure our loads. Set a good example to learner drivers and provide an exhibition of effective load security. Not be sanctioned by Roads and Maritime inspectors. 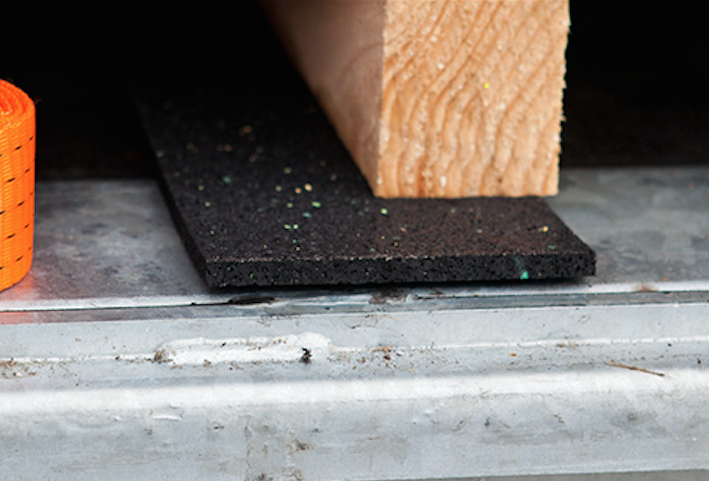 So we measured up and place an order of Regupol® Anti-Slip Rubber mats.